Driving down the road no 35 from Świdnica towards Wrocław in Marcinkowice you must turn left towards Domanice. There drive down the main road all way long and at the sharp turn right of the main road directly opposite runs a paved road. It leads up to the castle. 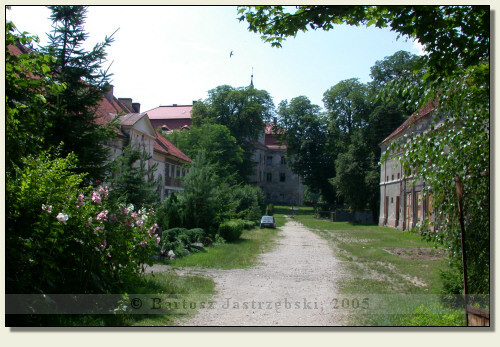 The knights’ castle in Domanice was built in the XIIIth cent. Its latter fate is not known, whereas around 1600, and then in the XVIIIth and XIXth cent. was entirely rebuilt. The present appearance is the consequence of the construction work from 1821. 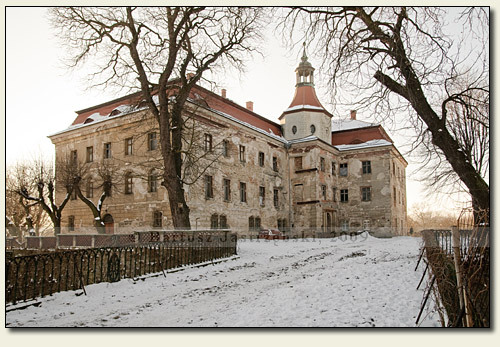 The castle is the residence of House of the Union of Polish Scenes' Actors at the moment.